The organ systems in our body constantly work in tandem—when one area struggles, the others respond. Vital nutrients such as Vitamin D and B12 help maintain this delicate balance, especially after a neurological disruption like a stroke event. Research connects vitamin deficiencies with both the body’s stroke risk and its ability to recover from a stroke event. An insufficiency in these nutrients—or the inability to absorb them—can cause the three major types of stroke: ischemic, hemorrhagic, and transient ischemic attack, commonly known as a mini-stroke. Ischemic stroke is the most common type of stroke, triggered by a blood clot blocking the flow of oxygen to the brain. Hemorrhagic stroke is a result of internal bleeding in the brain due to a broken blood vessel. Vitamin deficiencies, specifically those involving vitamins B12 and D, are integral to fighting inflammation, protecting muscles and keeping bone structures stable, all factors that correlate to pre- and post-stroke health. How Are Vitamin Deficiencies and Stroke Risk Interconnected? Promising research presented at the 2015 International Stroke Conference, found a potential link between low Vitamin D and Vitamin B12 levels and cardiovascular complications for both high- and low-risk stroke populations. Vitamin deficiencies also appear in patients suffering from ailments that are linked to increased stroke risk, such as hypertension and diabetes, which compounds existing risk factors for stroke. Vitamin B12 is a powerful nutrient, often found in red meat, chicken, egg yolks and different kinds of fish. 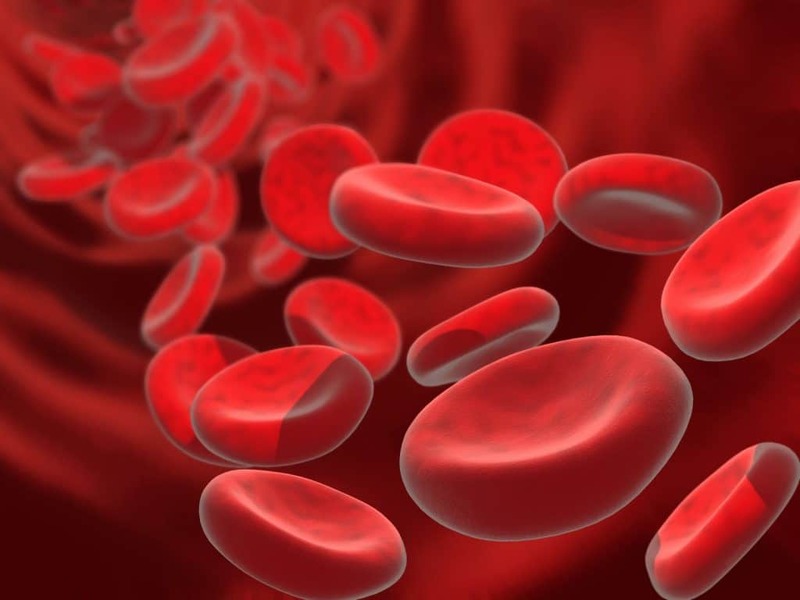 Not only does it prevent against anemia—as it is directly connected to the production of red blood cells—but it also supports the nervous system and the production of DNA. How does this powerful building block connect to our stroke risk? Inflammation. Inflammation is the buildup of white blood cells throughout the body. When the blood flow of blood vessels is impacted by inflammation, they are more likely to become clogged or damaged, a trigger for stroke. Vitamin B12 deficiency has been linked to the overproduction of homocysteine, an amino acid that leads to inflammation and oxidative stress if untempered with B vitamins or folic acid. This inflammation contributes to blood clots and damage to blood vessels. Even populations at a low risk for stroke have been found to have low B12 levels after an unexpected stroke. Though B12 deficiencies can occur from dietary issues, certain diseases can also block the proper absorption of B12, in which case, doctors may suggest B12 injections to ensure proper levels. Checking in with your doctor about vitamin levels is crucial for staying a step ahead of any health complications as a result of deficiency. When doctors find damage to the blood vessels supporting the brain and brain stem, it’s not uncommon to also observe low levels of vitamin D. This damage can lead to severe ischemic stroke, underscoring the importance of maintaining this crucial nutrient. When doctors introduce vitamin D supplements after a stroke, the risk of recurrent stroke or recovery complications decreases. What Are the Stroke Recovery Benefits of Vitamin D? As your brain and body heal from the effects of a stroke, maintaining overall wellness is crucial. Doctors find that maintaining proper levels of vitamin B12 and D result both in higher and faster recovery rates as well as a lowered risk of another stroke. For example, when tested three months into rehabilitation, survivors with high levels of vitamin D have been notably further along in their recovery. Doctors used what’s known as the Scandinavian Stroke Scale (SSS), which tracks progress in language, gait, and motor function. This 2015 study saw an increase of 6.39 points in patients who received a vitamin D supplement, compared to the 2.50 average with no supplementation. Though more information is required to solidify these findings, these results are encouraging. How Can a Survivor Address Vitamin Deficiencies? Set regular appointments with your medical team to test for possible deficiencies. An initial blood panel will be necessary to identify any deficiencies, but checkup blood work will document the progress. Maintain a healthy and balanced diet of vitamins D- and B12-rich foods, such as red meats, eggs, cheeses, milk, shellfish, salmon, cod, and tuna. A nutritionist can help you navigate around possible dietary restrictions. If vitamin levels do not improve, talk with your doctors about any underlying issues that could be contributing to your ability to absorb vitamins D and B12. Additional supplements can sometimes be introduced to help these vitamins be absorbed. Take any supplements regularly and create a support system of reminders and accountability partners to make sure you do not miss a dose. Avoid moderate to heavy drinking, which can cause stomach inflammation and impede B12 absorption. Be sure to get enough direct sunlight (a natural source of vitamin D) and outdoor exercise whenever possible. One of the largest factors of successful stroke recovery is overall health and wellness. By empowering the body with the nutritional support it needs, you set yourself on the right track to recover from stroke. Here at Saebo, we are committed to stroke support and recovery for all survivors and their families. Saebo offers a wide range of products that combine cutting-edge technology with evidence-based rehabilitation techniques. Our offerings and network of Saebo-trained therapists can help you or a loved one to obtain all the necessary tools to maximize stroke recovery.